Growing up you might remember your parents and guardians warning you to stay away from substances such as drain cleaners and strong detergents. Swallowing them can cause serious health damage, including esophagitis. Well, it turns out that if pills get caught in our throat, they can also cause esophagitis. Doctors call it “drug-induced esophagitis.” There are more than one hundred different medications known to cause it. Some of them include antibiotics, aspirin and other non-steroidal anti-inflammatory medications, such as ibuprofen. Vitamin C and iron supplements may also cause esophagitis if they get stuck in our throats. The difficulty swallowing pills is a common problem. 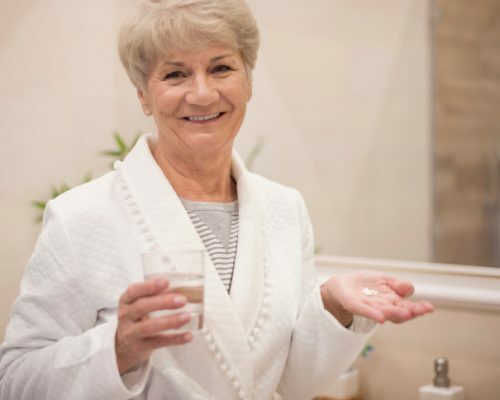 When the market research firm Harris Interactive conducted a health survey in the United States, they discovered that 40 percent of Americans have a hard time swallowing pills. But there is another category doctors are worried about: The overconfident. These are the people who think it is so easy to swallow medication that they don’t even bother to use water. Health officials say swallowing medication without water – or any beverage – can be dangerous. Esophagitis is an inflammation of the lining of the esophagus.If we don’t have enough saliva in our throat, food can get stuck as we swallow. The same can happen with medication. Gastrointestinal specialists explain that while the stomach cells are protected by mucus, the esophagus isn’t. The problem occurs when medication sits in the throat and the acid – or alkaline – results in burns, ulcers and scarring. In some cases, a tablet can burn a deadly hole right through the esophagus. There is no way around it; once you have esophagitis it can be very painful. Symptoms might include difficulty swallowing, sores in the mouth, a burning sensation, nausea and vomiting, a hoarse voice and coughing. To treat drug-induced esophagitis, doctors recommend that you avoid the medication that caused the problem in the first place. Usually an alternative is prescribed. Of course, doctors encourage you to use water when taking the medication. In some cases, the esophagitis is so bad that a person can’t swallow any pills and must take medication in liquid form instead. Most people who suffer from esophagitis are encouraged to stand for at least 30 minutes after taking a pill. Put the pill in applesauce or pudding. The pill can be easier to swallow due to the food’s texture. Grind the pill into powder and add it to food, such as pudding or applesauce. There are some medications and supplements that you can’t split in half or crush. In this case, if you try to swallow and it gets stuck in your throat, try following it up with a banana. Bananas have a mushy, smooth consistency and often do a good job dislodging pills and carrying them into the stomach. If you are having difficulty with taking medication, be sure to discuss it with your doctor.